Sorry guys, I was busy for all the week and have not finished any photo-project I was working on, finished enough to be posted here with the results. The good thing is that we got an interesting hangout:-) Thank you everyone who joined us. This is our fifth”Studio Photography Insights” Google plus hangout (previous ones are here). What is new? We got weekly assignments! After review/critique session I or Dave are going to shoot our own assignment live, right from a studio during the hangout. How is this? For me, it sounds awesome! This way we can not only talk, but learn, learn by doing stuff. Honestly, I believe that you can learn craft only by doing it. So, this week assignment is a bottle of red wine. I’d like to get product-type shot, but let’s try to approach it creatively, OK? However, the decision on how to do it it 100% up to a photographer: we do not wan to put any boundaries. Dave mentioned 1X.com, and it looks like what they offer can be interesting for both sides of the world: photographers and art buyers. First can sell prints and add the exposure to their work, second can get prints from amazing photographers. 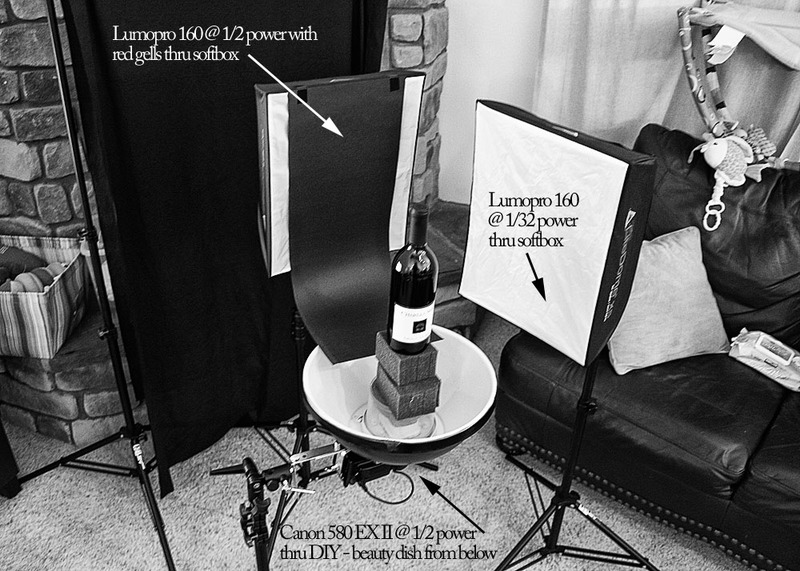 Non expensive Speedlite light modifiers: Lightboxes from David Honl. Great stuff for strobists. If you’d like to join hangout you need to be in my special “Studio hangout” circle, which I am filling with fellow photographers and amateurs who interested in studio photography. 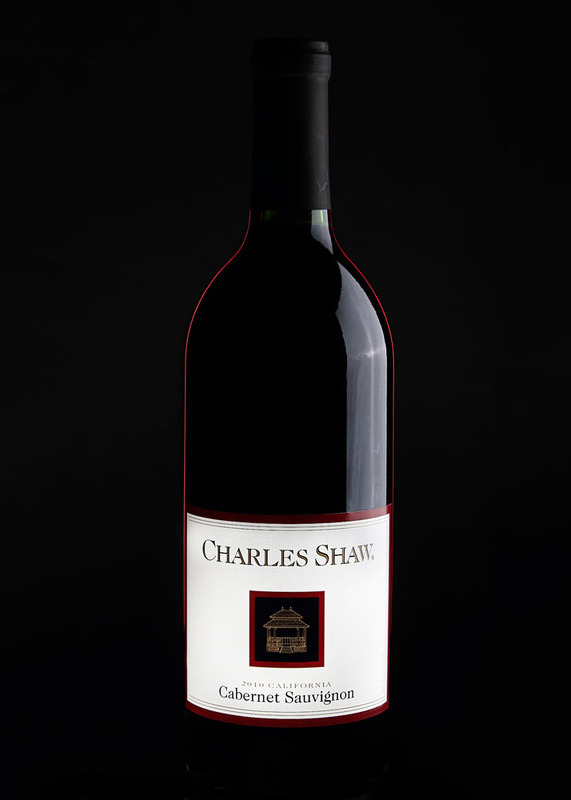 39 responses on "Studio Photography Insights hangout on Google plus #5"
That’s my vision of a wine bottle. I don’t a setup image. Great job anyway. thank you! I’m sorry that this is so late, and even more sorry that it reflects the true novice that I am. But I am truly inspired by the beautiful photographs that have been submitted so far, and I am so grateful to be able to learn from such accomplished photographers. I used a blur to clean up the mottling just above the label and used the Photoshop clone tool to darkened the top label highlight. I decided not tackle the bottom as I could not find a clean surface in your photos. Hope these pointer help. Good first try. Thank you so much! It looks much, much better. I realized that the bottle was almost invisible, but I didn’t know what to do about it especially because all I have is one Canon 430 strobe. I have learned a lot just from this first assignment. For one thing I need a better surface than my glass coffee table with white sheets of paper on it :-). I can’t thank you enough for taking the time to work on improving my project, and sharing your expertise with me. One more thing. I thought that I might have earned some slight accommodation since my wine is probably older than most of the people who participated in the assignment ;-). I had already graduated from graduate school and been employed for 3 years when that bottle was created. Back in those days though I might be looking for Strawberry wine or Sangria! This time round it had to cost less than $10 (That was my second criteria) – my first criteria … I asked the nice lady (who probably wasn’t as old as your bottle) for nice red wine with a photogenic label. That seemed to confuse her a good deal. Here is my submission . One SB-600 speedlight only with different light modifiers. Multiple shot combined in photoshop (11-15 shots used). The bottle was inside a kind of black box which was open in front and in the back. The little light came from the back sides which where small narrow whihte paper strips on which I fired my flashes. OK, maybe this description was too confusing. I’ll make a similiar session next time, so I’ll post some make-of pics on google+. BTW: Alex & Dave great idea of such hangout where everybody has chance to contribute. A pitty I can’t participate due to the time difference to Europe. I’m excited to see the video afterwards. As for the Europe: I do not like such situation either, and I hope we can work something out with Dave. I’ll try to get online on Thursdays 12AM Eastern time, so at least we can discuss stuff from Wednesday hangout with my European friends. Ok… I always wanted to learn studio photography so I’m really happy to see Alex and Dave create assignments. First I want to say I have a new respect for the talent that studio photographers have. So I went to the wine store and had no idea which bottle I was going to buy. I just looked for a “cool” bottle to photograph. I really liked the wires wrapping the bottle. Ok, the setup. I have a Canon t3i and one 430EX II flash. I used white poster boards for reflectors, a black bed sheet for the back drop and black poster board for the surface for the bottle. I put the reflectors to the left and right of the bottle and to the front and back. I also hung a reflector on the tripod to reflect back to the front of the bottle. I tried every angle I could think of to see what created the minimum of reflections on the bottle. I made a quick diffuser from a styrofoam bowl and a paper towel on the front to diffuse the light some more. Still not happy with the flash reflections on the bottle. I ended up holding the flash above the bottle with another poster board to shield the flash from the background and create a shadow line from the front of the bottle to the background. This seemed to highlight the wires on the bottle and the bottle label. Remember I only had one flash. This photo it as-is other the some slight adjustments to Blacks and Light Fill in Lightroom. Let the critiques begin!! @Mike Broderick, Thank you Alex & Dave for taking the time during the G+ Hangout to comment on my photo. I learn something new each week! Since I wont be able to attend the hangout I thought I would say what I dont like about my image. i. The main problem I see is that I have lost the rim of the glass(es). Whether this can be pulled back in post-processing I dont know. ii. I am not enamored of the stripe right down the middle of the bottle, it needs to be more diffused. My attempt at doing this, I just did a bottle of white last week before this was started, so I tried doing something different and went with a mock table setup. Not quite sure how I feel about it but I’m still trying to get back into the studio work and getting used to trying everything out. 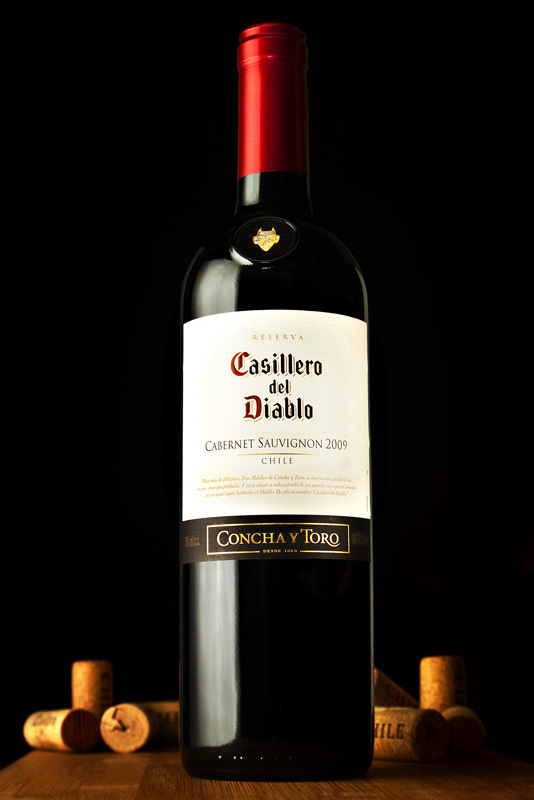 Here is a shot of red wine bottle, that I in fact took last year. But I do believe it to be a interesting shot,as well as being slightly complicated. But as it was taken a while back I have no set-up shots of the process. For this shot I used 3 studio lights, Lastolite Lumen8`s, 2 with softboxes on, and 1 light with a snoot. Plus, a purpose-built surround black painted (on the inside) wooden box, apart from the front and rear, these were open of course. I placed the box on a table, with a softbox behind and the camera in front. This gave me the effect of a small tunnel, and shooting into the light. I then placed a piece of card (as a gobo) in front of the softbox, large enough for the height of the box, but not as wide as the softbox. Therefore creating 2 strip lights on the side. Then standing the bottle of wine inside the blackened box, this then gave me the effect of strips of white light on the side of the bottle. With moving the bottle forward and backwards this effects the thickness of the white strips of light shining through the bottle. Then I had the light with the snoot on pointing up from below the table, just in front of the camera, onto the label of the wine. Now I then had a problem, the area where the neck of the bottle and the rest of it meet, just above the label, the part that looks a little bit like a “C” shape on the side. There was no white strip of light! I could have fixed this in Photoshop, but I decided I would like to get as much right in camera as I could. 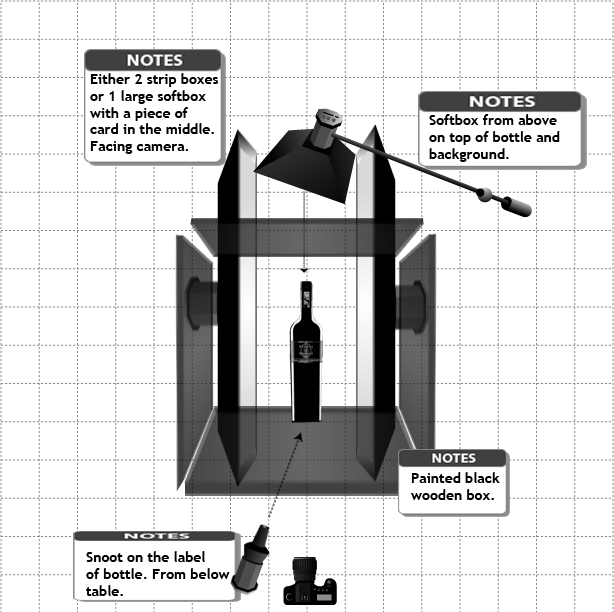 Therefore, I moved the top of the box forward towards the camera and away from the softbox. In this gap overhead, I placed a strip softbox. After some playing around, I was able to get the effect I wanted, that of 2 strips of light running down the sides of the red wine bottle, from top to bottom. Well, here is my rendition. I thought I’d give light painting a go as I’d never done it before. Well, after 2.5 hours I think I finally have a shot worth submitting to the blog for our Google+ Hangout tomorrow night. This shot was done in complete darkness and lit only with a maglite (with a paper snoot) and I used my iphone LED to light the background. 30 second exposure. About 20 minutes in Photoshop to clean it up. Took about 20 shots until I got something worth editing. Well I guess regular image tags don’t work here… That’s a bummer. Thank you Dave, great stuff, as usual! We’ll discuss it today. hey man, could you please tell me how the heck did u set that chain like this?? is it covered in glue or something?? :D I was trying to figure it out but I cant seem to think of any idea on how u did this. @Dave Nitsche, alrightttt, I see hehe, my bad, great image! Ok, this is our version of the assignment. @Alex Koloskov, great stuff, I am a huge fan of yours! Could you please tell me what camera did you use for this shot?? I know it is large format but I am not sure what it is…you see I am using canon 50D my self and I love doing commercial/advertising type of shots and I just wanted to get some better camera for that sort of job, but I am not sure where to start ;/ I cant afford digital hasselblad but I do want to have this whole control over focus etc. Please help me out and perhaps visit my website and let me know what you think about my work :) Thank you. I am 18 years old and I am based in UK. I wanted to try something different, so I put my beauty dish underneath which lit the front of the label and the background. I used the softbox behind to put the line around the bottle. I thought since it was red wine, I would make the line red. 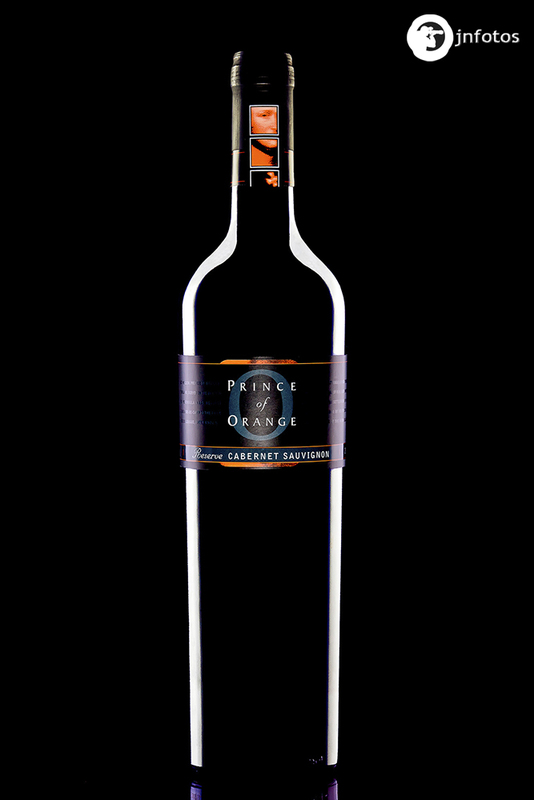 The bottle was very flat looking, so I added a second softbox to the right to put a highlight on the bottle to give it some shape. Hi guys this is my vision of a wine bottle shot. I don’t have an image of my setup but there where 2 continues lights to the sides, 3 white cards and tent to soften the light. After all I took it to the Photoshop and make it happen. @Peter Dudek, looks cool, we’ll discuss it on a hangout:-)Thank you for the post! I didn’t really have an idea.I just had the bottle,the grapes and a tree with some red berries on it. Hello Alex – I might do one other if time permits, but for now here is my result. shop. I needed to get the lights further from my subject to get the effect I wanted, and my “studio” is small and designed for jewelry, thus I gave up on a single shot and decided to handle an easier way using 1 regular lighting shot and two done with minimal light painting. The layer them in Photoshop. Total time was about 2.5 – 3 hours. @ron gibbs, Simply awesome! Thank you Ron. Great idea and execution of it! Are there only two lights (key and background)? I can’t tell for certain in the set up shot. I have three lights. The two under the table blend together in the shadows. Dunno how much discussion Alex wants here before Wednesday… (does it help /hurt to give some info ahead of time — maybe it will save some time from explaining everything online)? Anyway, the key light front& above (obviously). A strobe with black cine-foil cone to create the shaped background light. I also have a small speed light type flash at 1/32 power with blue gel pointing up from below. The glass ice cubes had a blue glow to begin with but the gel pumped that up and better emphasized the wineglass base as well as the cork faces. If I get some time, I may try to post process the flaws out where the lighting didn’t agree with me. Hopefully I’ll get some tips on whether what I wanted is possible without post processing. We can discuss here anything any time we want, there is no rules about when and what to talk about:-) More discussion is better, this is the only thing I know. Dunno what the rest of my week will look like so I had to get this done today… It is pretty much what I envisioned in my head, but I am beginning to think it got a bit too cluttered. I guess I’ll hear about that next week. :-) Most of the lighting came out as I wanted… I’ll have some questions on how to improve that. Its a light red wine, but quite a bit darker than a rose’ and I wanted some of the color to come through. Thank you for the submission, you’ll be first reviewed next Wednesday.